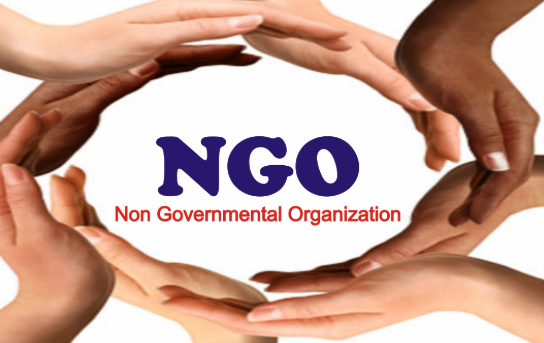 Non-governmental Organizations are also known as NGOs. They are not for profit organizations that have been set up to achieve various humanitarian objectives. 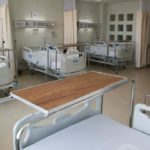 These include providing education, health care, human rights, social objectives and many more. NGOs are funded by donations and they are usually operated by volunteers. 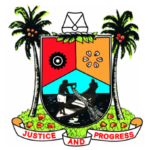 In this post, we take a look at the full list of NGOs in Lagos. AHI is located at 17, Lawal Street, Off Oweh Street, Fadeyi in Lagos. 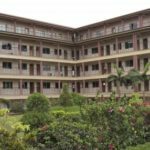 The centre is popularly known for the ENGINE programme (Educating Nigerian Girls in New Enterprises), a programme of the UK Department for International Development (DFID) which is implemented by AHI in partnership with Mercy Corps. Located on 13 Apode Street off Yakoyo B/stop, Ojodu in Ikeja, GKON is a non profit-making organisation with the mandate to build and empower the youth with positive life style. The organization empowers the youths with programme that changes life and builds of characters. All over the world, there is an estimated 61 primary school age children that aren’t in school. Generally, a child’s access to school is determined by several factors which include gender, location, conflict, disability and the family’s socioeconomic status – factors. Access to Education for Children was set up to help solve this problem. The organization is located on 63 Road, 53 Victoria Garden City, Lekki, Lagos. ANUNSA was established to promote and support the ideals and principles of the United Nations, but also to raise a pool of young people with skills in multilateral diplomacy. The NGO was founded in 1958 at the University of Ibadan is a registered and recognised United Nations Youth and students Association in Nigeria. It s located at the National Secretariat, 17 Kingsway Road, Ikoyi, Lagos. The Lagos club became an associate club in 1962 followed by Ibadan and Enugu in 1964. In 1965 all these clubs came together to become the Nigeria Federation of Business and Professional Women. Currently, there are 12 clubs in Nigeria and at least five other clubs are in the process of formation. BPW Lagos is located at Club Arcade, Annex 7, Tafawa Balewa Complex, Onikan, Lagos. Women In Technology In Nigeria| No 16, Ogunlana Drive, Surulere LGA, Surulere, Lagos. Arrows of God Orphanage | 4, Joyce Balogun Street, Oke Ira-Nla, Ajah, Lagos. Bales of Mercy Orphanage Home | 14, Ajayi Street off Jimoh Oladehinde Bus-stop, Ifako-Gbagada. Centre for Destitutes’ Empowerment | 8, Makanjuola Close, Idimu, Lagos State. Children Centre | 11/13, Ojerinde Street, Behind Luth, Idi-Araba, Lagos. Compassionate Orphanage | 6, Ijaiye Street, Greenland Estate, Idowu Egba Bus Stop, Isheri-Lasu Expressway, Igando, Lagos. Friends of Jesus Orphanage | 5-7, John Okoh Street, Off Unity Road, Boadore, Ajah, Lekki. Hepzibah Homes | Ibereko, Badagry; RCCG (Tree Of Life), 78, Marine Road, Apapa. Heritage Homes Orphanage | 45, Faramobi Ajike Street, Anthony, Lagos. Lagos State Motherless Babies’ Home | 1, Kenneth Agbakuru Street, Off Admiralty Way, Lekki Phase 1, Lagos. Little Angels’ Orphanage | 1A, M. A. Oke Str., Isheri-Iyana Iba Road, Opposite Diamond Estate, Isheri, Lagos State. Little Saints’ Orphanage | Strong Tower House, 6b, D’alberto Road, Palmgrove Estate. Living Fountain Orphanage | Plot 22, Oba Yusuf Abiola, Oniru, Victoria Island. Love Home Orphanage| 7b, Jubilee Road, Magodo GRA, Lagos. Missionaries of Charity (Mother Theresa) | 117, Demurin Street, Alapere, Ketu. Motherless Babies’ Home | 1, Kenneth Agbakuru Street, Off Admiralty Way, Lekki Phase 1, Lekki. Nigerian Red Cross Society Motherless Babies’ Home | 2, Makoko Road, Adekunle, Yaba. 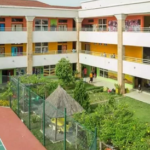 Olive Blooms Orphanage | Dunmoye Street, Off Saliu Obodo Avenue, Oke Ira Nla, Ajah, Lekki. Peculiar Saints Orphanage | 1, Olatobire Turner Close, Seaside Estate, Badore Road, Ajah, Lekki. O.S Children’s Home |Isolo Road, Isolo, Lagos. Sought After Women And Children Foundation | Plot 3 Ronke Aiku Close, Addo Owode, Ajah, Lekki. Tunji Adebayo Motherless Babies’ Home | Tunji Adebayo Close, Fagba, Iju Road, Iju, Lagos.